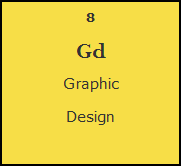 Graphic design is about communicating to inform, educate, entertain, and persuade. A graphic designer is responsible for creating design solutions that have a high visual impact. The role involves listening to clients and understanding their needs before making design decisions. Graphic Design is essential for a company in numerous ways such as advertising, magazines, posters, websites, product packaging, corporate communication and corporate identity, i.e. giving organisations a visual ‘brand’. Graphic designers have to be proactive in presenting their ideas and designs whether they are working freelance, self-employed or employed within a business.